Since Tesla's Model 3 was unveiled, special attention has been paid to the entry-level price of the highly coveted Tesla car. At $ 35,000 before incentives, the standard model 3 lineup was to be Tesla's Model 3 for everyone. Many also thought that the car indicated that Tesla was financially sound and made profits on its vehicles. 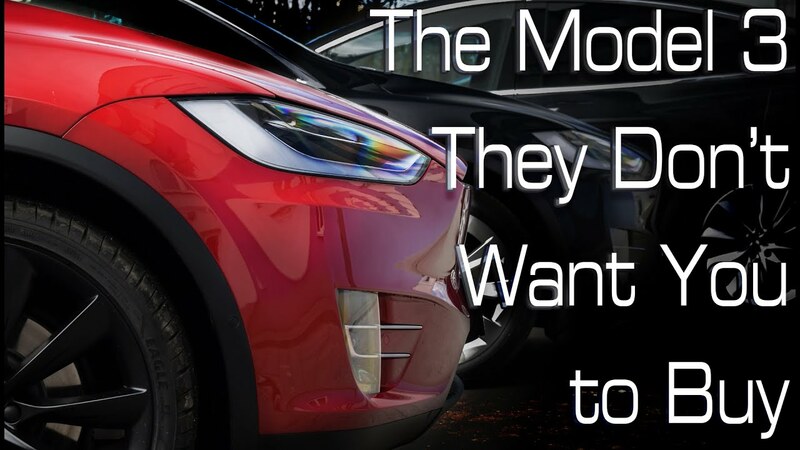 The standard Tesla 3 model range, however, did not start delivering immediately – and by the end of last week, Tesla announced that it was not going to make the planned variant of its standard range at all. In its place, a standard software-locked Plus range with the specifications of the standard range. It will still cost you $ 35,000 – but to get one, you will have to go through a few steps. It's almost as if Tesla did not want you to buy it.